The world’s most creative and outstanding Chocolate Shop will take centre stage at gateway@klia2, on May 2, 2014. 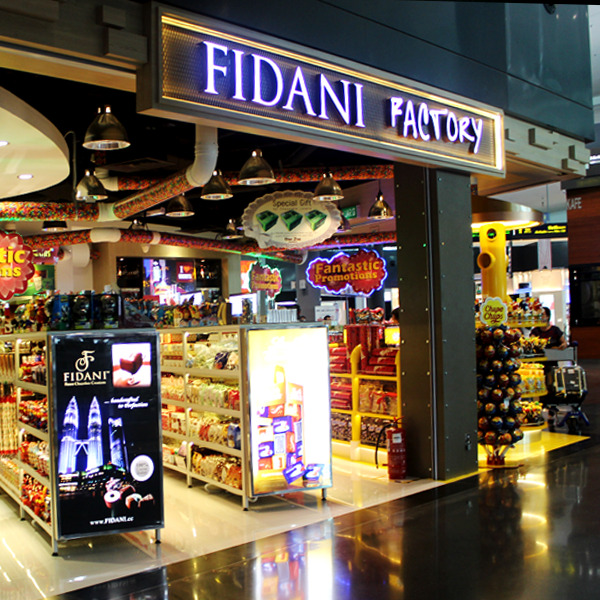 Spanning an area of 900sq.ft., this fabulous store will display and sell over 1,000 varieties of the world’s best chocolates and Malaysia’s highest quality chocolates under brands such as Fidani, Danson and Farell’s. With state-of-the-art premium wallbays and innovative gondolas, the shop will be really irresistible. The exciting frontal will feature Mars M&M’s latest colourful displays. In this dynamic shop, we will highlight Visit Malaysia 2014’s latest exquisite, exclusive chocolates under Millton, Farell’s and Danson. We will offer exclusive premiums absolutely free and also irresistible offers with good prices to attract the most discerning chocolate connoisseurs. There will be ample free chocolate sampling and plenty of mascots to delight children. The Moo Moo Cow which can actually move and moo moo all the way is @ the entrance of Fidani Factory @ gateway@klia2!